SÓLO HASTA EL 11 DE FEBRERO !!!! * LIBRO IMPRESO "COCINA FÁCIL Y SALUDABLE"
POR TAN SÓLO........ 1295 Euros !!!!!!! 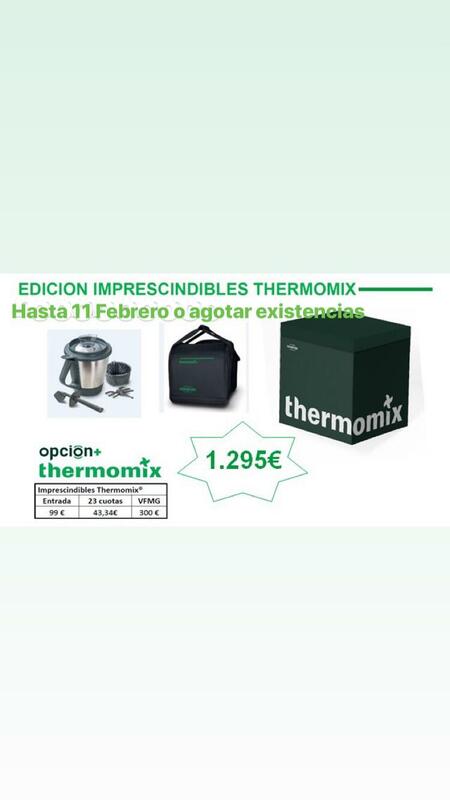 LA MEJOR FORMA DE DISFRUTAR Thermomix® ES CON......... OPCIÓN PLUS !! !